As of this week, the Apple Watch is not only cheaper to buy, but also to repair in the event that it's broken without an AppleCare+ warranty, with a new cost of $199 per incident. Previously, it cost $229 to repair the Apple Watch Sport when the unit is out of warranty. Battery service for an out-of-warranty unit runs $79. Repair pricing is unchanged for repairs of the stainless steel Apple Watch ($329) and the gold Apple Watch Edition ($2,800). The warranty cost changes were spotlighted on Friday by MacRumors. U.S. AppleCare+ warranty plans are typically $49 for the Sport, $59 for the mid-tier Watch, and $1,500 for the Edition. Apple also sells plans that cover both a Watch and an iPhone, which are priced at $149, $169, and $1,600 depending on the model. The combo plans can apply to undamaged iPhones up to six months old, whereas a regular AppleCare+ iPhone plan forces buyers to pick up coverage within 60 days. The Sport and steel Watch AppleCare+ plans extend warranties to two years, while the Edition plan extends coverage to three. These also sharply reduce the cost of accidental damage, lowering service fees to $69, $79, or $1,000, depending on the model. AppleCare+ subscribers can also get Express Replacement at no extra charge — Apple will send a package to return the original Watch, and ship out a replacement unit in two to three business days. Users interested in adopting multiple styles of Apple Watch will appreciate Apple's new watchOS 2.2 update, which adds the ability to pair multiple Apple Watches with a single iPhone, along with other tweaks and improvements. watchOS 2.2 is now available to install via the official Apple Watch app on an iPhone. As with all updates, users must ensure their iPhone is in range of the Watch, that the Watch is connected to its charge, and charged to at least 50 percent capacity. After installing the update, along with iOS 9.3 on an iPhone, suers will be able to pair multiple Apple Watches with a single iPhone. That's possible thanks to a new feature called Auto Switch, which automatically connects to any paired Apple Watch, once the user puts it on and raises their wrist. Apple also includes an image of the user's Apple Watch, complete with their style, color, and even the watch face and complications they have enabled. This will make it easier for users to distinguish between their connected watches. The ability to pair multiple watches with a single iPhone will allow Apple Watch owners to purchase multiple styles and swap them out as needed. For example, fashion-conscious consumers might own different styles and colors to fit their current attire or activity. The larger 42-millimeter Apple Watch will presumably also see its price reduced to $349. The wearable device launched a year ago starting at $349. A patent application published Thursday suggests Apple is working to turn Apple Watch into a full-fledged medical device, one that can monitor a user's vital signs and automatically send out an alert should they need urgent care. As published by the U.S. Patent and Trademark Office, Apple's application for "Care event detection and alerts" provides for a hardware system capable of monitoring its surrounding environment for so-called "care events," described as any event that necessitates assistance from medical personnel, police, fire rescue or other emergency technicians. For example, the device could be programmed to monitor a user's heart for an arrhythmia and, upon detection, send out an alert to family or emergency responders. While not specifically mentioned in the document, Apple Watch is uniquely qualified to fulfill the proposed system's goals. 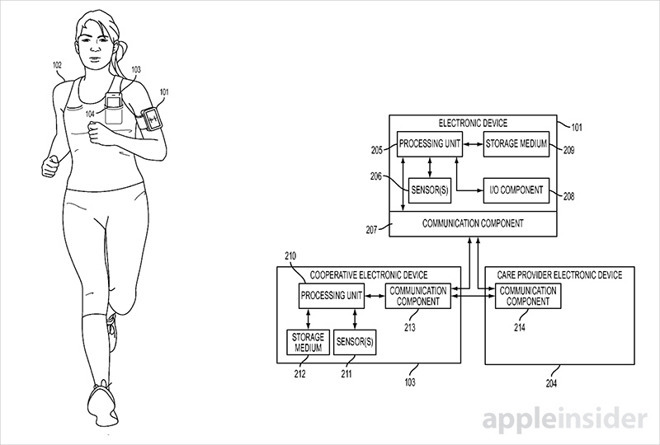 Apple's wearable not only incorporates advanced sensors and processing hardware capable of monitoring for care events, but also packs in a communications suite that can be used to transmit emergency notifications via iPhone. In operation, the wearable and its host device work together to detect a care event. For example, if an iPhone's accelerometer detects a sudden change in acceleration, while Apple Watch no longer detects a heart rate, the system might determine that a user has had a heart attack and is incapacitated. Other examples include car accidents, muggings and other events that can be quantified by onboard accelerometer, heart rate, microphone, GPS and other sensors. Apple today seeded the fifth beta of an upcoming watchOS 2.2 update to developers, just over a week after seeding the fourth watchOS 2.2 beta and more than two months after releasing watchOS 2.1, the first major update to the watchOS 2 operating system that runs on the Apple Watch. watchOS 2.2 has been in testing since January 11. The fifth watchOS 2.2 beta can be downloaded through the dedicated Apple Watch app on an iPhone running the iOS 9.3 beta by going to General --> Software update. To install the update, the Apple Watch must have 50 percent battery, it must be placed on the Apple Watch charger, and it must be in range of the iPhone. There were no other obvious outward-facing changes introduced in the first four watchOS 2.2 betas aside from the changes to the Maps app, but the update undoubtedly includes under-the-hood performance updates and bug fixes to address issues that have been discovered since the release of watchOS 2.1. 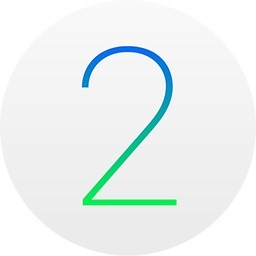 WatchOS 2.2 is expected to debut in the spring, perhaps at Apple's rumored March 21 event.